Ray DeGiorgio to the New York Times: "All I can say is that I did my job." DETROIT -- The General Motors engineer often identified as responsible for a faulty ignition switch that has been linked to 32 deaths said "I did my job the best I could" in his first public comments since GM recalled 2.6 million cars to address the defect early this year. In a story posted on the New York Times website late Thursday, Ray DeGiorgio described himself as "very emotional" when asked by a reporter about the deaths and injuries from crashes that have been tied to the switch that he designed. He also expressed defiance. "All I can say is that I did my job," he told the paper. "I didn't lie, cheat or steal. I did my job the best I could." GM's ignition-switch crisis -- which bedeviled the early months of new CEO Mary Barra's tenure -- has ushered in a new era of safety emphasis by the global auto industry. For the year, GM has issued 77 recalls covering 26.6 million vehicles in the United States. Most other automakers have issued major recalls as well, including about 17 million vehicles supplied to multiple companies around the world by Japan's Takata Corp.
DeGiorgio, 61, was fired from GM in June along with 14 other employees for what Barra called a "pattern of misconduct and incompetence," citing findings from a 325-page investigation by former federal prosecutor Anton Valukas. The report placed outsized blame on DeGiorgio. He approved the switch in 2002, despite knowing that it was prone to slipping back out of the run position, Valukas' probe found. 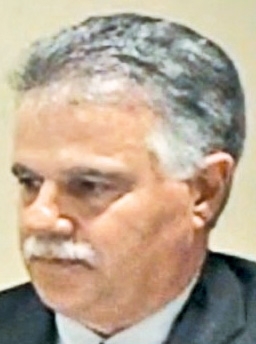 As evidence of problems mounted, DeGiorgio secretly authorized a change to the part in 2006 without changing the part number, Valukas' report and other documents from the case have shown. That "deliberate decision not to change the part number prevented investigators for years from learning what had actually taken place," the Valukas report concluded. The Times story said that DeGiorgio originally chose a switch design that required less torque to turn than an alternative design because GM management wanted new models to have European-style components. After it proved flimsy in early testing, DeGiorgio wrote to colleagues in an email: "Failure is significant," the paper reported. "I just returned from Delphi. They promised modified switches." DeGiorgio has turned down interview requests since his name became public last spring, after April 2013 depositions from a civil lawsuit against GM identified him as the design engineer responsible for the switch. Under oath, did DeGiorgio said he had "absolutely" never known about or authorized the 2006 change to the part. During Congressional investigative hearings last spring, lawmakers accused DeGiorgio of lying. Barra testified that she also believed DeGiorgio had lied. So far, neither DeGiorgio nor anyone else at GM has been implicated in any criminal charges. Following months of congressional hearings, lawsuits, and negative publicity, GM agreed to compensate victims of the faulty ignition switches, or their surviving families, with a fund administered by lawyer Ken Feinberg -- known nationally for his work compensating victims of disasters such as the 911 terrorist attacks and BP’s Deepwater Horizon oil spill. The fund, as of last Friday, had received 202 claims for deaths and 1,649 claims for injuries. Of those, 32 death claims and 35 injury claims have been approved by Feinberg’s office. Litigation remains pending on several fronts in the federal courts.